The moment I set foot in Paraty, Brazil, I was in love. Rio de Janeiro may be the place to party, but when you feel the need to escape to a more tranquil place, Paraty is the place to come. It is a three-hour ride on a comfortable inter-city bus from Rio – and it is paradise. 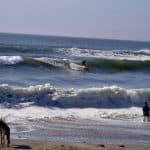 The small beach town may be known for its historic center, but the natural setting is no less impressive, with miles of sandy beaches stretching out in both directions and lush, tropical forest all around. Once a colonial town, the center of Paraty has kept its former glory intact. The locals, fiercely protective of its beauty, keep it firmly in the past, with no cars allowed on the cobbled streets. The only transport you’ll see here are horse-drawn carts. The huge cobbles don’t make the easiest walking surface, so make sure you’re wearing suitable non-slippery shoes before entering! It is clear that Paraty relies on tourism, but you won’t find the usual lines of tourist shops here; the trinkets being sold are handcrafted and showcase the artistic culture here. 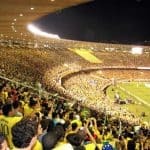 Whether it’s a beautiful item of clothing, a painting or even one of the distinctive hot air balloon decorations, it is all too easy to spend your reais. However, despite the readiness for tourists, Paraty remains a quiet and laid-back place, making it perfect for a couple of days of respite. It is all too easy to while away the hours sipping a glass of wine at the beachfront bar, or indulging your artistic side by setting up your paint set at one of the cafes. You’re sure to be inspired by the whitewashed buildings with their colourful doors and bunting. If painting’s not for you, then why not take a boat trip from the pretty harbor? You’ll find boatmen sitting casually along the harbour wall, touting for your business, showing off their pretty boats, complete with beds of cushions on the deck, on which to relax as you bob around the tropical coast. It’s easy to get a good bargain as they vie for your custom – expect to pay around $30 for a half-day excursion. Take a picnic of gourmet snacks that you can buy from the shops in the center and you’ll be set for a wonderfully lazy day. 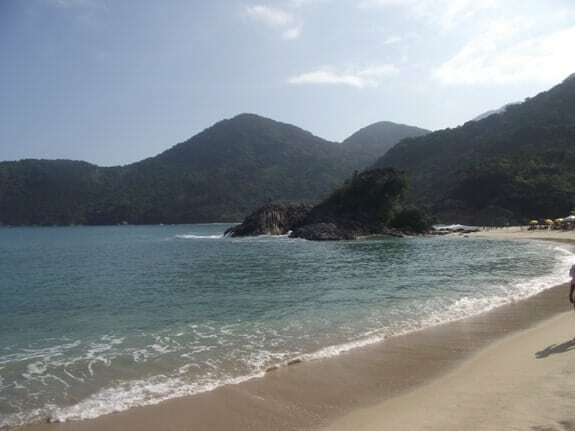 About half an hour away by bus from Paraty is the even smaller town of Trindade. This place is the ultimate beach paradise: beaches of golden sand curve around the tropical, blue water. Tiny forested islands dot the bay; small beach restaurants serve up fresh seafood with Brazilian spices. It feels like the setting for part of a James Bond movie. 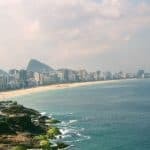 There is very little to do in Trindade except to kick back, relax and sip a cold beer on the beach – it’s the place to come for some R&R after the more hectic pace of Rio. It does conform to stereotypes, in the sense that you can’t escape Bob Marley songs and there are always a few hippies strumming guitars on the beach, but it works here. Honestly, in Trindade, it feels like the rest of the world has ceased to exist. 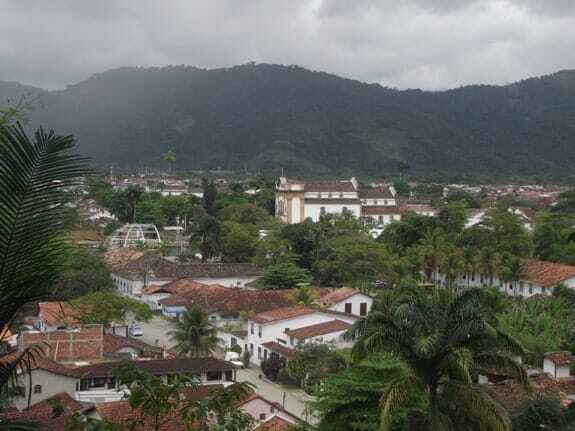 Paraty has more accommodation options – and a few more evening diversions – than Trindade, but in both places, pousadas – guesthouses – are the norm. Everything is on a small scale here, so don’t expect total luxury. However, there are some very pleasant pousadas in the historic center, where you can expect to pay around $80 -$130 per night for a double room. The Tourist Information site provides a full list of pousadas, both in the town center and in resorts situated out of town. 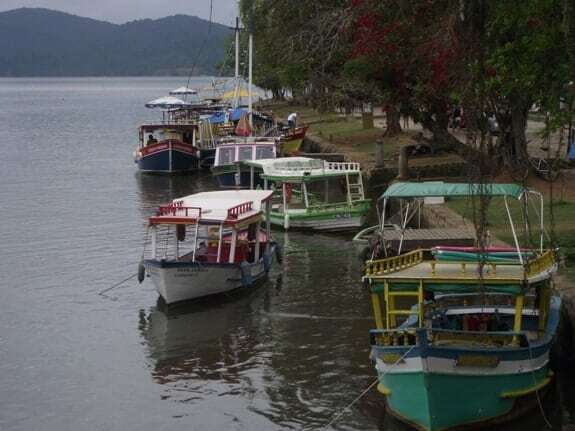 This site also provides information on tours available in and around Paraty, from schooner rides to the delightfully-named Zen tours. 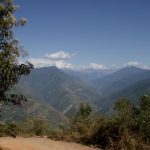 However, despite their reliance on tourism, Paraty and Trindade remain small, local places, so you may not make proper sense of it or know all the options available to you until you get there. The bus company Costa Verde runs a regular, air-conditioned service from Rio de Janeiro to Paraty several times a day; a one-way ticket costs around $30. Alternatively, you can get a transfer from your hotel in Rio direct to Paraty, costing around $80 per person. Either way, if you’re spending some time in Rio de Janeiro, keep this trip down the coast in mind. Photo Credit: All photos are author’s own. 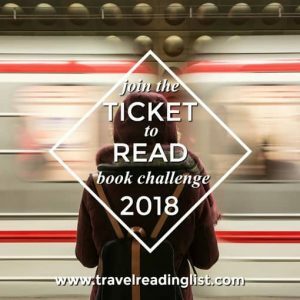 Katy Stewart | Katy is a writer with wanderlust. Originally from the UK, she has lived in France, danced in Argentina and stargazed in Chile. She writes for numerous travel sites and you can always find her at www.starryeyedtravels.com.